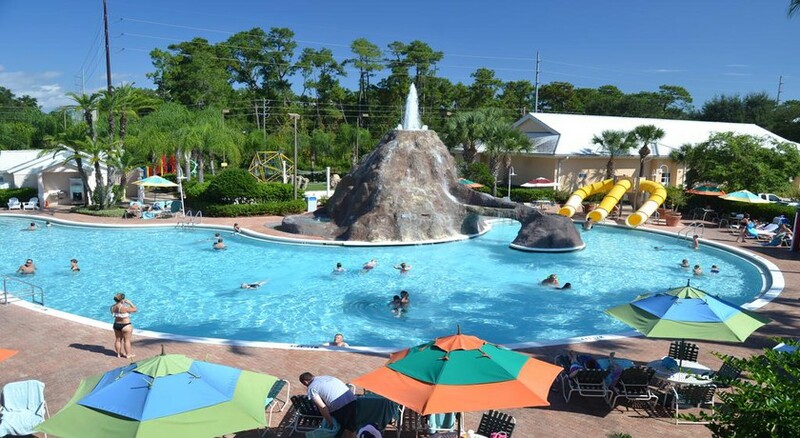 Orlando in Florida is the perfect holiday spot for fun-loving families, and Cypress Pointe Resort and Grande Villas Resort make for the perfect place to stay. 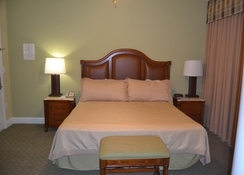 Located in central Orlando, the resort is set in tranquil surroundings away from the hustle and bustle, but remains within close proximity to the top attractions including Walt Disney World, SeaWorld, Universal Studios, Florida Mall and more. The outdoor pool is the perfect place to hang out before spending relaxed summer evenings in the BBQ area. Other facilities include a Games Room, Spa and Fitness Centre to keep the whole family entertained, or take a stroll around the gorgeous on-site lake. Want to discover more of this spectacular resort? 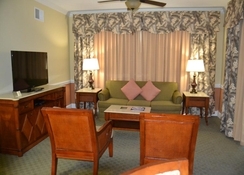 The hotel’s concierge can help you plan Orlando tours and must-see tourist attractions, too. 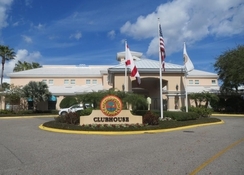 The hotel is located in Treasure Cay Lane in central Florida and is nearby to many of the major theme parks. The nearest park is Walt Disney World Resort, which is a 6-minute journey by car. SeaWorld Orlando and Universal Studios can also be reached within 15 minutes. If you fancy a day trip, or simply want to swap the slides for sand, the gorgeous beaches of Miami can be reached in 3 hours. 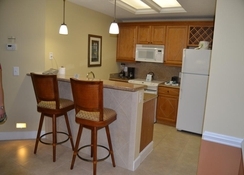 Cypress Pointe Resort's spacious and homely rooms come as villas or studios, all with standard amenities such as air-conditioning, balcony or patio, telephone, sofa bed, washing machine and more. The number of occupants in a room must not exceed 8 people in total. Guests can enjoy simple but tasty dishes at the on-site Cafe de Pointee, which serves a selection of delicious breakfasts, lunches and snacks. There are also many up-scale restaurants nearby serving global cuisines. 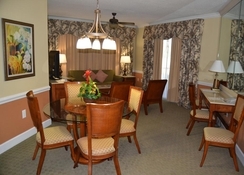 The hotel guests are always up to something thanks to a wide range of on-site entertainment. There are barbeque parties and summer pool parties, activities for parents and children, games and spa treatments, which are regularly organised within the hotel premises. Other facilities include a fitness centre, swimming pool with slides, chutes and volcanoes, which are perfect for your little ones. Day tours can also be organised to nearby places of interest and attractions with the help of the concierge of the hotel. Resort Fees will be increasing for the 2018 year.